Beyond excited to share these GEORGOUS images of Bobbie!!!! LOVED how these turned out. I have to admit, a whole lotta fun was going on during this shoot! We had so much fun and seriously couldn’t stop laughing! Thanks for all of the laughs Bobbie!! Haha that is so fun! I want to do the same thing with glitter! Probably a bit more messy though..
Yeah, this snow is amazing compared to Chicago snow!! Looks like you two had a lot of fun- great captures. And I love her pink streak! The first set of the images are beautiful! This girl is gorgeous! Fun times! She looks good with all that snow flying. Love the shots where she's blowing the snow - how fun! 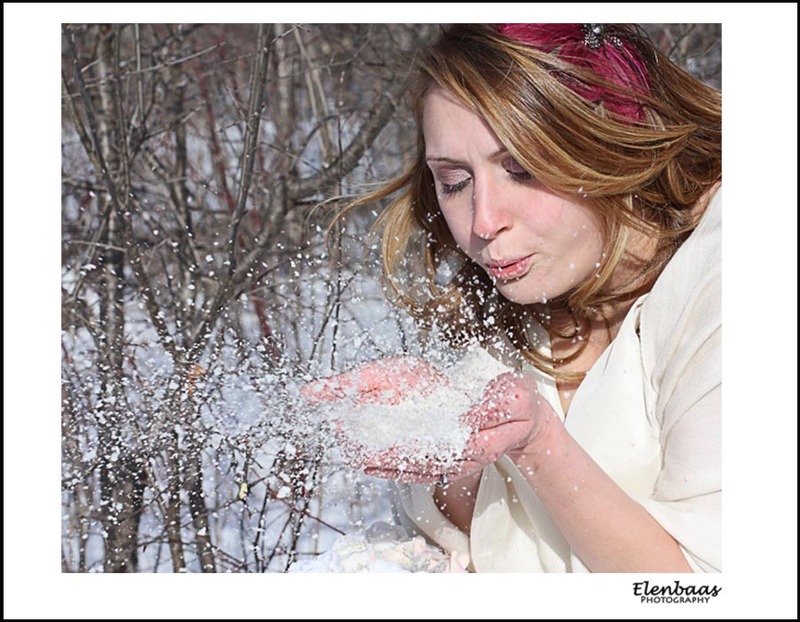 LOVE LOVE LOVE snow shots! Oh wow, that's snow looks awesome. My daughter would love it. What I love about being a photographer is that we can shoot anytime for any reason.